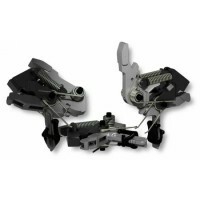 AR-10 .308 Geissele SD-E Super Dynamic Enhanced TriggerPRODUCT DESCRIPTIONGeissele Automatics, Trigger, Super Dynamic EnhancedPRODUCT SPECIFICATIONSUPC Code: 854014005151Manufacturer: Geissele AutomaticsManufacturer Part #: 05-167Model: EnhancedModel: Super DynamicType: ..
Hiperfire ECLipse - AR-15/AR-10 TriggerSpecificationsNickel Alloy Finish Applied to the Hammer and TriggerSmoother Trigger PullProlongs Useful Cycle LifeCan Be Easier To CleanSports a Black HIPERSHOE®Straight Trigger BowUse w/ or w/o the Proprietary HIPERSHOE™24C Packaged w/ Red Shoe, Black Availabl..
Geissele Super Semi-Automatic Enhanced TriggerBuilt on the chassis of the Geissele SSA, the Super Semi-Automatic Enhanced (SSA-E) provides enhanced trigger control and weapon accuracy while maintaining the robustness and reliability of our combat-proven two-stage trigger. 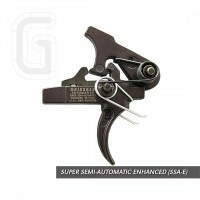 The SSA-E’s reduced first a..
Hiperfire Hipertouch EDT3 - AR15/AR10 TriggerHighlights:Significant AR UpgradeMIL Upgrade, LE/SWAT, Personal UtilitySingle StageSemi-AutoBonus Benefits:Radical Sear Mechanics™Medium Weights, 4½ and 5½ lb. 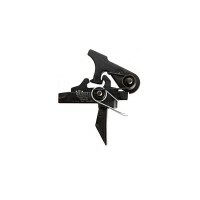 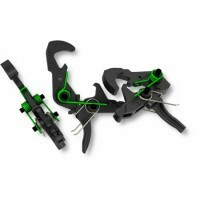 PullsSmoothAccurateHeavy, SwingFast Hammer Head™Faster Lock-UpMore AccurateDuplex Trigger Bow™H..